The controversial firm awarded a massive contract to restore much-needed electricity to Puerto Rico was charging more than $300 an hour per lineman but paying its workers just a fraction of that, according to a report. Whitefish Energy Holdings had only two employees based in Montana before being awarded a $300 million contract to help the island recover from the ravages of Hurricane Maria. That contract was cancelled after questions about how it received the contract when it emerged that it was based in the hometown of Interior Secretary Ryan Zinke, whose son once worked for Whitefish. Reports have said that FBI is investigating the deal, though the New York Times reported details of its arrangement for the first time on Sunday night. It contracted workers from electrical authorities throughout Florida for its contract with the Puerto Rico Electric Power Authority, which is charged the far above normal rate of $319 per hour, according to the newspaper. Despite the seemingly exorbitant charges, linemen cited in the report received more normal amounts such as $42, 63 or $100 per hour. A spokesman for Whitefish said that focusing on the hundreds of dollars in difference that went to his company did not take into account overhead costs or the expense of enticing labor to Puerto Rico. The Times reported that Whitefish was also billing Puerto Rico's power authority $412 for food and lodging per worker. The Whitefish contract has become a focus point for worries about government waste and possible corruption as authorities try to bring a sense of normalcy to a territory still reeling from a natural disaster. Puerto Rico's governor Ricardo Rosselló laid out a timetable last month that said 50% of power on the island would be restored by Wednesday, and that the month after would see that figure jump to 95%. Power company AEE Generation said Sunday that 47.8% was restored. 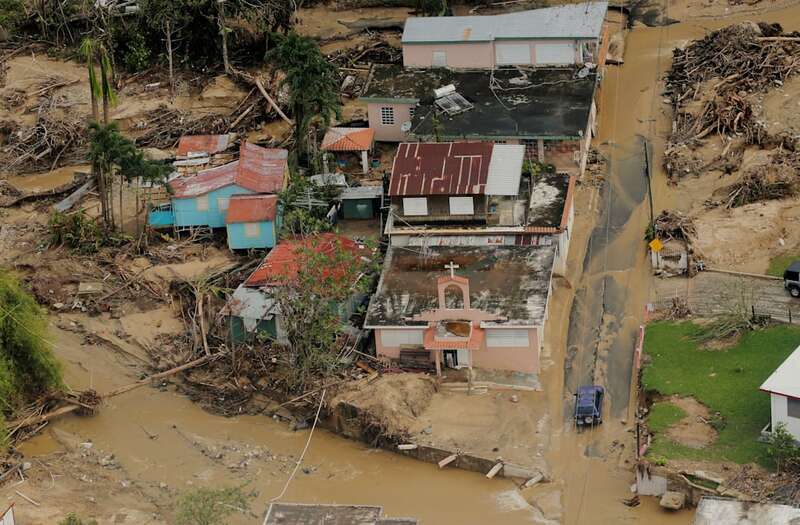 Though the official death count from the hurricane remains at 55, the lack of electricity and air conditioning is thought to have played a role in a spike of deaths after the storm that claimed hundreds of lives. Nearly 500 more people died in Puerto Rico this September than a year earlier, according to regional authorities, though officials refused to blame those deaths to Maria.